This beautifully designed school pinafore has two side pockets, gathered detail, and a coconut shell button. 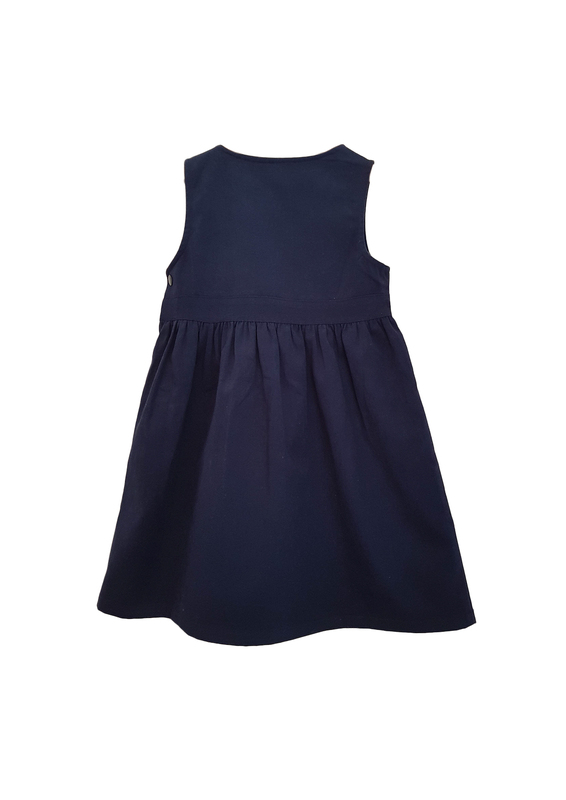 This pinafore is the perfect choice girls who like to stay active on the playground and comfortable in the classroom. 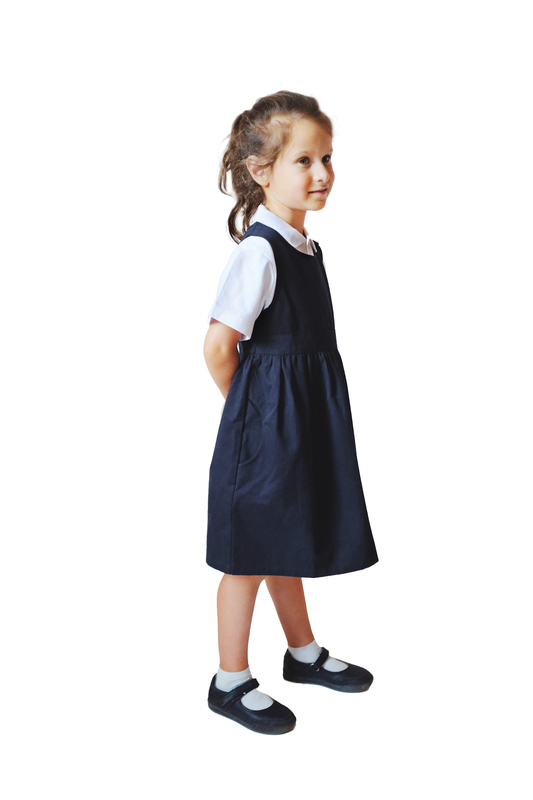 This beautifully designed school pinafore has two side pockets, gathered detail, and a coconut shell button. 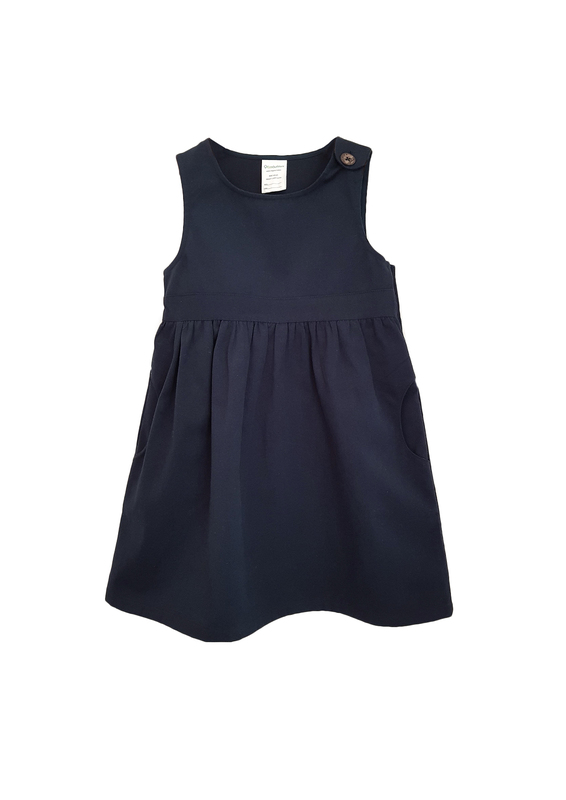 Navy Pinafore with a coconut shell button made from Organic Cotton was successfully added to your shopping cart.